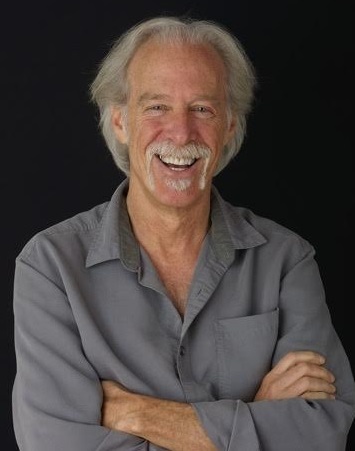 Gregg Levoy, author of Vital Signs: The Nature and Nurture of Passion (Penguin), and Callings: Finding and Following An Authentic Life (Random House), is the former "behavioral specialist" at USA Today and a regular blogger for Psychology Today. He’s presented at the Smithsonian Institution, Environmental Protection Agency, Microsoft, National Conference on Positive Aging, American Counseling Association, National Wellness Conference, and been a frequent guest of the media, including ABC-TV, CNN, NPR and PBS. A former adjunct professor of journalism at the University of New Mexico, and former columnist and reporter for USA Today and the Cincinnati Enquirer, he’s written for the New York Times Magazine, Washington Post, Omni, Psychology Today, Fast Company, and many others. Ask questions. They're my stock in trade. I've used them—paid the rent with them—my entire career. 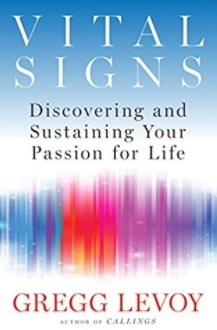 First as a reporter, then as an author of books on psychology and personal development, and now as a teacher and workshop leader on the subjects of Callings and Passions. I ask a ton of nosy personal questions that help people generate a body of data from their own lives that can help them clarify what’s next, what wants to emerge, what their lives are calling-for from them. Self reflection, and thus self-awareness. ie turning all those nosy questions toward myself, not just others. It’s the commitment to understanding what truly makes me tick, in honor of Socrates' dictum to “Know Thyself.” I post sentries at all the various gates where signs and signals make their way to me—I study my dreams and body symptoms, question my motives and assumptions, listen to my self-talk, my gifts, my passions, examine where friction shows up in my life, what decisions need to be made that are hanging over my head waiting for resolution, what patterns have established themselves in my life, what dots need to be connected. All of which helps me stay in integrity with myself. Not integrity as a moral issue so much as a psychological one. I used to do a lot of stone sculpting when I was younger, and when a sculptors want to find out whether a stone is “true,” or has "integrity,” they bang on it with a hammer. If it gives off a dull sound, it means the stone has faults running through it that are going to crack it apart when they work on it. But a clear metallic ring, one that hangs in the air for a moment, means the stone is true, has integrity, and most importantly is going to hold up under repeated blows. Which is the same information I want to know about my calls in life. I want to know they ring true, have integrity, and are going to hold up under repeated blows. The kind the world specializes in. The kind I encounter the moment I take those calls/convictions/commmitments out into the world, where they get banged on. And the best way to find out if they have that kind of integrity is to be continually “tapping in” and listening. Regarding the teaching that I do (based on my books), it’s to imitate nature and spread into as many available niches as possible. To share my work with as many types of audiences as I can before the clock strikes twelve, and my work has proven itself to be wonderfully versatile up til now. I’ve taught at colleges and universities, career development and coaching conferences, successful aging conferences, academic advising symposiums, faith-based organizations, corporations, retreat centers, prisons, cruise ships. So I’d like to keep pushing my boundaries as far and wide as possible. Also, to explore ways of collaborating with others around the work I do. Personally, I’d like to find more ways of combining travel with service, not just tourism. Also, to do whatever innerwork is required to ready myself for a deeply compatible love affair with what some people might call a soulmate. Also, to make real peace with the fact of mortality, the fact that I have a use-by date, and to wrest the maximum amount of joy and wisdom out of it that I can. I ran across a bumper sticker last year that said, "Warning: dates in calendar are closer than they appear." Making a living as a writer for the last 40+ years. As a reporter, a freelance writer, an author, and a teacher of workshops based on my books. To say nothing of the free in freelancing—the lifestyle to which I would like to remain accustomed. I’ve been able to create a career that gives free reign to my curiosity, my love of learning and discovery, my desire to be of real service to people, and my anti-authoritarian streak. I’d like to be able to say I’ve helped change the world, though I have a poster in my office that says, “The trouble with trying to change the world is that weeks can go by and nothing happens.” Just to tease myself about my ambitions. But the box of letters from readers that’s also in my office is a reminder that, though no-one has ever awakened the President as a result of one of my articles or books, nor public opinion noticeably shifted, I’ve managed to make a positive impact in a lot of people’s lives, and this helps me answer the legacy question. Leaving employment for self-employment. Quitting my job as a reporter to become a freelance writer—a decision that’s not exactly designed to reassure your parents. And even then I waffled about it for half a decade, because it’s Scary Stuff. I left behind a regular paycheck, a pension coming in two years if I could hang in there which I couldn't, and medical benefits, never mind that the only reason I was using those medical benefits was that my job was making me sick. But staying would have meant over-ripening and rotting on the vine, and ignoring one of the clearest calls of my life. I needed freedom, I needed to be writing different kinds of stories than I was writing, I needed a change of scenery—in this case from Cincinnati to San Francisco—and I needed to make my life literally come true. One part of me thought it made no sense at all to follow that call, but another part of me knew my life wouldn’t make sense without it. Anyone who’s living with great passion and purpose. Anyone doing the hard human work of staying in integrity with themselves, creating a life that really belongs to them and isn’t a knockoff, and staying committed to being a lifelong learner. I run into such people in all walks, all ages, all over the world. More specifically, and for the writer in me, my favorite role-models include the scientist-poets: Annie Dillard, Richard Seltzer, Timothy Ferris, Carl Sagan, Chet Raymo, Lewis Thomas, Terry Tempest Williams, Peter Matthiessen, Diane Ackerman, Goethe.My favorite places/destinations? My twin brother and I travel together for a month out of every year. We pick a country and we go. And I’ve been lucky enough to see some amazing places. But the titleists have been the ancient medina in Fez, Morocco, for its Arabian-Nights exoticness; Norway for the greatest and most varied concentration of natural beauty I’ve ever seen in one country; Nepal for the Himalayas, which just dumbfounded me with its sheer physical immensity, and completely scrambled the category in my brain called Mountain; Burma for the loveliness of its people; and Italy for the highest concentration of UNESCO World Heritage sites in the world, and the ruins of the Roman empire, which amaze me the same way dinosaurs amaze me—that such a thing once existed. The ones you find in museums—the incredible designs of the natural world, the mind-boggling artistry and ingenuity of human culture. And of course the computer, which for a writer is worth a king’s ransom just as a research tool. I have access to all the knowledge humans have amassed in the course of our history, right at my fingertips, and instantaneously. It’s indistinguishable from abracadabra, really. There’s even a Command key. A renewed enthusiasm for dreamwork. I’ve kept dream journals since high school, but lately I’ve dived into that realm with renewed vigor, fascination and astonishment. Dreams are like having a resident genius in my psyche, and I never cease to be amazed at their metaphoric brilliance, their psychological truth. I’m also fascinated with a current investigation into my relationship to relationships, a result of wanting/needing to make some tectonic changes in that department. So I’m sitting a few dances out, going back to the proverbial drawing board, and looking at the equations and hieroglyphics there, trying to figure out how to reconfigure my approach. Talk about self-reflective work. But a fascinating launch into the learning curve.